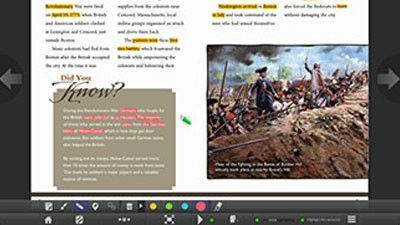 Because learners have their own copies of the books within Renaissance myON® Reader, they can use built-in literacy tools to interact with the text in ways that would not be permitted or even possible with shared physical texts or e-book subscriptions. These reading and writing tools, along with myON Projects, can be incorporated into a complete literacy curriculum. Teachers can review and respond directly to each student's work within the myON environment. 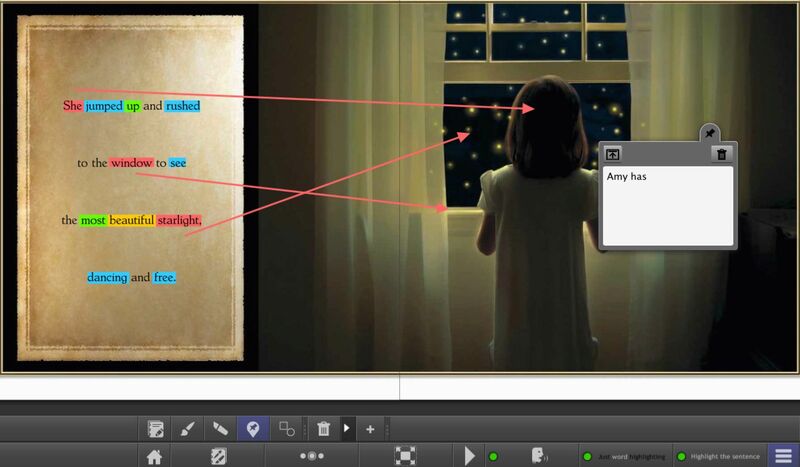 Students can practice reading skills while responding to and interacting with the text, and easily show evidence in the digital text. Students can create on-page shapes and reposition, resize, change the color or remove them. Students can identify important concepts in photos and illustrations throughout the book. Students can create long text notes within the book reader that can be accessed within their account journal, and used to complete teacher-assigned writing projects. 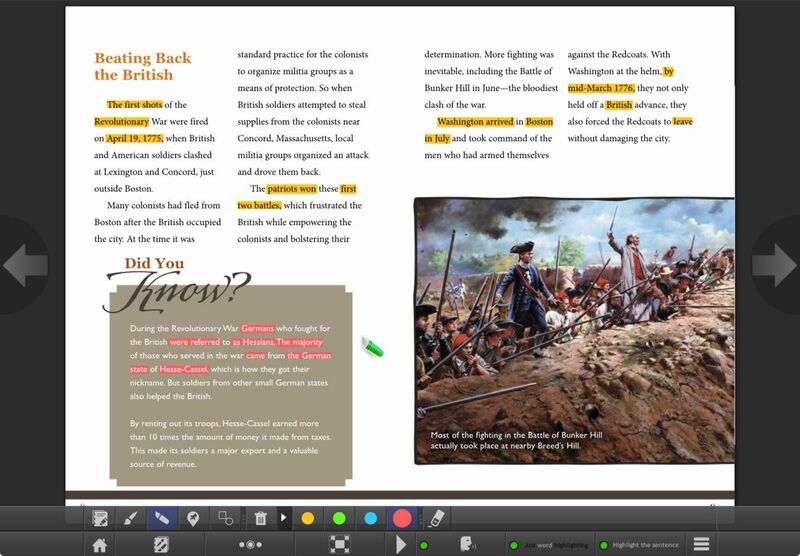 Students can annotate and add symbols while reading to mark passages, document theories, ask questions, remember connections or respond to the text. Sticky notes can be attached to highlighted text. Students can learn the importance of citing sources and proper formatting, helping avoid plagiarism. Students can use a highlighter, brush tool, shapes and sticky notes to identify, markup and connect story concepts. 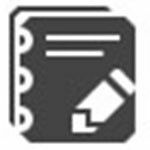 Essay Writer – Helps students build upon authentic literature and targeted reading practice by allowing them to respond to the text and monitor their work, down to word count for their entries. 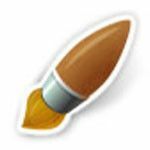 Peer Reviews – This optional setting within the student essay section allows students to see and comment on each other’s work. 12 Graphic Organizers – Help readers create a mental picture of the information in a text and can be used for a variety of purposes, including enabling students to organize their thoughts before, during and after writing. All information in a student’s Journal, including text and citations from books they have read along with their own notes, is available when they access the Graphic Organizers and Essay Writer within teacher-assigned projects. Students can easily copy and paste content from their Journals to complete assignments.